On Sale Now! 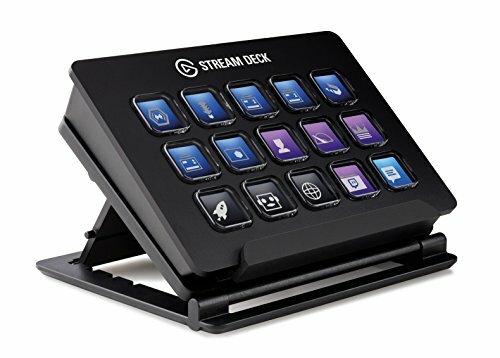 Save 4% on the Elgato Stream Deck - Live Content Creation Controller with 15 customizable LCD keys, adjustable stand, for Windows 10 and macOS 10.11 or later by Corsair at Remarkable Minds. MPN: 10GAA9901. Hurry! Limited time offer. Offer valid only while supplies last. Stream Deck puts 15 LCD keys at your fingertips for ultimate studio control. Simply tap to switch scenes, launch media, tweet your feats and more.